Station Hollywood: Manoj Kumar deserved Dadasahab Phalke Award. Eminent actor Manoj Kumar received Dadasahab Phalke Award in 2016. The viewers of bollywood films wish happy birthday to Manoj Kumar on 24th July, 2016. He is almost 75 years old now. He started his career as a romantic hero, then showed his skills in the field of direction and created a separate identity as a patriotic hero. He later on earned the name of Bharat Kumar. Harikishan Giri Goswami, better known as Manoj Kumar, was a big admirer of Tragedy King Dilip Kumar. He was obsessed with Dilip Kumar’s performance in the film Shabnam, in 1949, and kept the name of the character of the film, which was Manoj Kumar. Although he started his career in the film Fashion in 1957, he got recognition with a lead role in the film Kaanch Ki Gudiya in 1960. 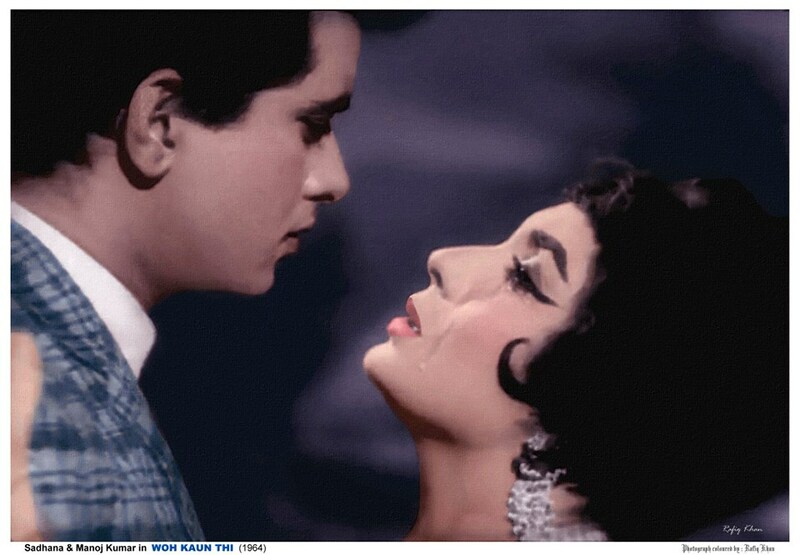 Vijay Bhatt directed Hariyali Aur Raasta in 1962 changed the destiny of Manoj Kumar as a romantic hero. The songs of the film were composed by genius of genius Shankar Jaikishan, and with Mala Sinha’s assistance Manoj Kumar reached the hearts of millions of music lovers in the country. The songs in the film including “ifteda-e-ishq”, “yeh hariyali aur yeh raasta”, sung by Mukesh and Lata astonished the viewers. The film became super hit. In the mid-60s, Manoj Kumar landmark roles in suspense thrillers like Woh Kaun Thi, 1964, and Gumnaam, 1965. Woh Kaun Thi was a horror film of Raj Khosla where Manoj Kumar played the role of the doctor who got scared with the ghostly appearance of Sadhna, who played a double role in the film. He solved the mystery in the film got Prem Chopra arrested at the end after realizing that his wife had a twin sister who was used as a ghost. The music of Madan Mohan was brilliant and Lata’s songs “naina barse rimjhim”, “lagja gale”, etc., created sensation. Gumnaam was a murder thriller which stormed bollywood in the mid-60s. More than seven friends were given offer of going for holidays, but the flight was hijacked and the friends had to land at an island. Each of them was killed one after the other and no one knew who killed them. Manoj Kumar solved the mystery and unearthed the truth that Tarun Bose was the actual murderer. The music composed by Shankar Jaikishan was extraordinary with songs like “jane chaman shola badan” sung by Rafi and Sharda, “gumnaam hai koi” sung by Lata, “is duniya me jeena ho to”, “hum kale hai to kya hua dilwale hai” sung by Mohammad Rafi, etc. Manoj Kumar started his second innings with patriotic films like Shaheed, Upkaar, Purab Aur Paschim, Roti Kapra Aur Makaan, Kranti, moved the viewers and earned him respect. He directed of those films and got filmfare award for best director for excellent work in films like Upkaar and Roti Kapda and Makaan. His film Upkaar also received the national award for best film in 1967, and he gave life to the slogan of PM Lal Bahadur Shastri titled “jai jawan jai kisan” with Upkaar. In fact Upkaar, was the highest grosser film in 1967, surpassing all the other super hit films like Ram Aur Shyam, Jewel Thief, etc. The songs in Upkaar composed by Kalyanji Anandji were also brilliant including “mere desh ki dharti” sung by Mahendra Kapoor and “kasme wade pyar wafa sab” sung by Manna Dey. After Upkaar a big section of the crowd used to call Manoj Kumar as Bharat Kumar, as his patriotic feelings used to reflect in his creations. His other successful films as hero also include Patthar Ke Sanam, Anita, Aadmi, etc. He acted with childhood idol Dilip Kumar in Aadmi and Kranti. The songs of most of his films were of excellent class. Naushad’s creation in Aadmi, and Rafi’s songs like “na aadmi ka khoi bharosa”, “aaj purani rahon se”, etc., had remained invalueable assets over the period of time. The viewers expect him to continue the excellent work as a director in the years to come.